London offers a variety of exciting things to do and see. LSBU’s main campus is based in Zone 1 at the Elephant and Castle, within easy reach of many transport hubs including Waterloo Station and London Bridge, the Northern, Bakerloo and Jubilee underground lines, and the cycle super highway. In the heart of the diverse community of Southwark and within easy reach of the open spaces, museums, bars, theatres and restaurants, you’ll find plenty to do in your free time. Whether your passion is the arts, clubbing, fashion, film or live music there's plenty to discover in London. The city is now open 24 hours a day with the introduction of the Night Tube - some Tube services running throughout the night. London is a leading global city, has been described as a world cultural capital and in 2012 became the first to host a summer Olympics three times. Strong in the arts, commerce, education, entertainment, fashion, finance, healthcare, media, professional services, research and development, tourism and transport, it is one of the world's leading financial and legal centres. 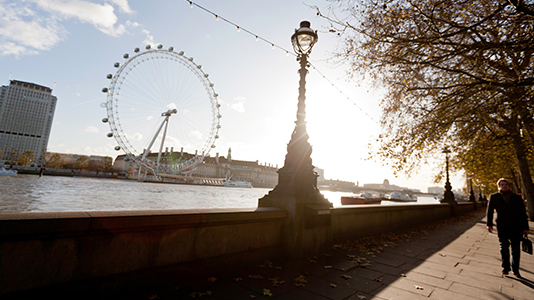 Find out more about our London location.